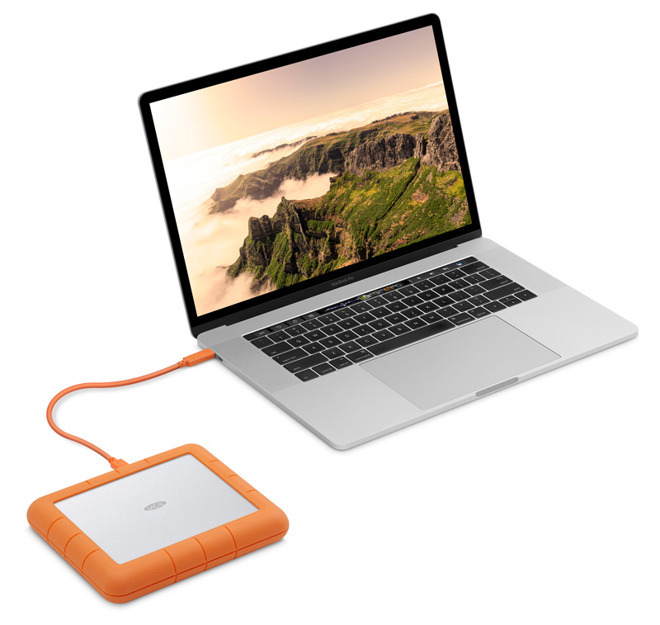 Rarely does new tech give me a hard-on, but this NEW Thunderbolt3, USB-C portable Raid case does it for me. Kinda been waiting for a product like this for 2 + years. What took you so long? Bus powered, so you can OFFLOAD camera media FAST in the field. BUT WAIT, you say too slow… yes, but 8Tb Enterprise SSD drives are becoming affordable. Tear apart this Lacie box, add two Ent SSD drives and you have 16Tb at ~520Mb/sec that’s portable. Since it’s SSD, the Drives don’t slow down in speed as they are filled. Sure, Lacie should have included Usb-C Gen2 to get the full potential of the Raid speed, but sadly this is the best available on the market at present that is BUS powered.